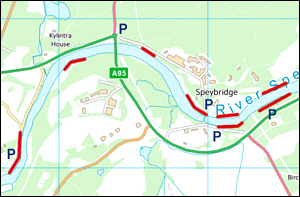 The River Spey is justly renowned as one of the best of all salmon rivers, the lower half of the river characterised by mile after mile of the most perfect, and most sought after, fly fishing water imaginable. 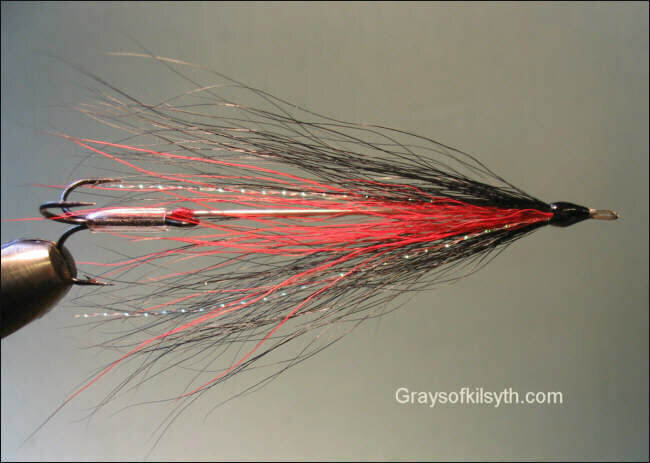 Anglers come from far and wide to cast a salmon fly on its hallowed beats, and pay a pretty penny for the privilege. Fortunate indeed is the man who has secured a prime week on one of its many fine beats, each with a famous name like Castle Grant, Tulchan, Knockando, Balindalloch, Arndilly, Rothes, Delfur, Wester Elchies and Carron to mention just a few. But the true magic of the Spey lies, for me, not in its salmon but in its sea trout, that other migrant which arrives in numbers through June and July. On the expensive salmon beats, the sea trout will inevitably be overshadowed by the king of fish. 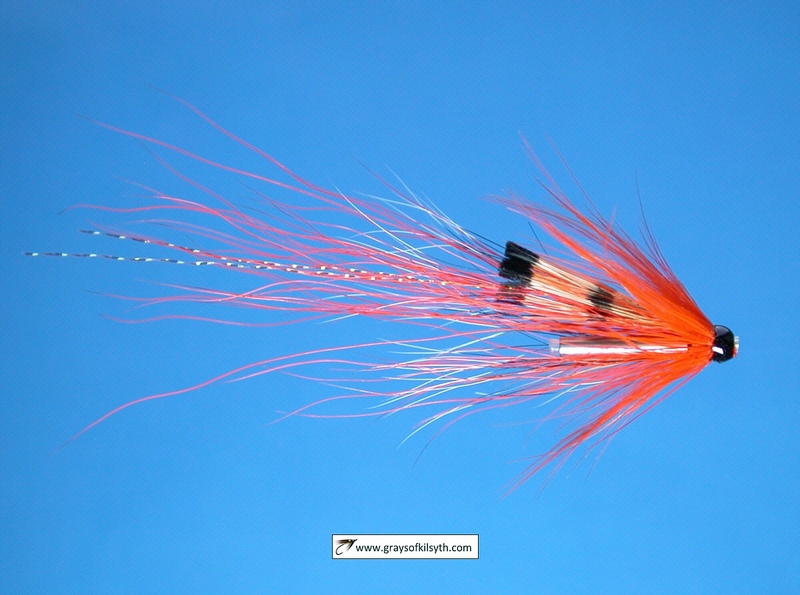 Few will have the stamina to fish all day for salmon and half the night for sea trout. 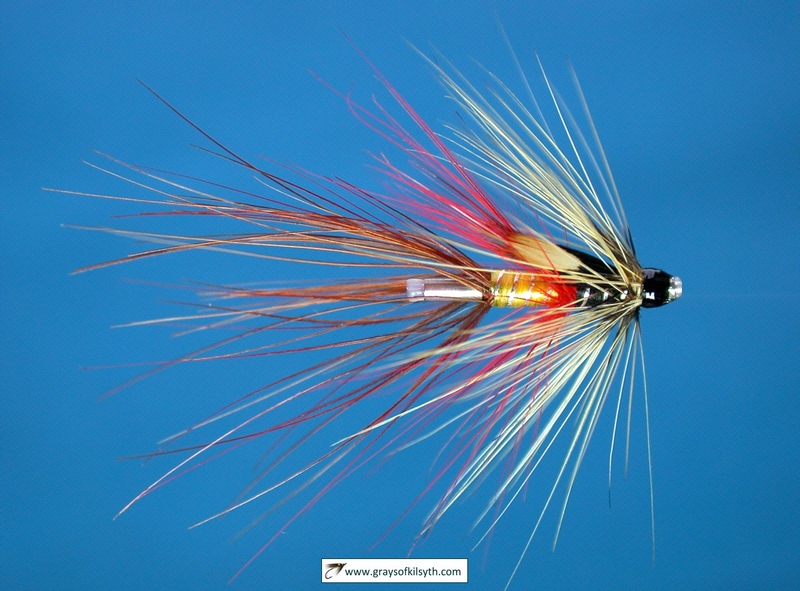 There are many, though, who are content to forget the salmon and look forward instead to the short summer nights, when the sea trout shoals might, on a good night, provide exhilarating sport for those willing to forsake the comfort of a warm bed. Against a background of declining sea trout stocks on many rivers, the 2006 season had been a good one on the Spey for both salmon and sea trout, with improved catch returns on the Association beats. 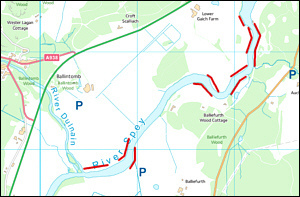 In excess of five hundred sea trout had been reported on the Strathspey Angling Improvement Association water, and more than seven hundred on the Abernethy Angling Association water just upstream at Boat of Garten. So it was with high hopes that my wife and I arrived at the Grantown Caravan Park on June 17th 2007. What would the week have in store, I wondered. Conditions looked promising, with the gauge at the new bridge showing a settled river running at two inches above summer level. Reasonably clement weather was forecast for the early part of the week, with night temperatures to remain above nine degrees. Eleven p.m. on Sunday night found me at the cemetery car park, all tackled up and ready to go. I passed an impatient hour on a riverside bench overlooking the tail of Poll a Clachan, hoping for some sign of a sea trout. Nothing. Midnight finally came and I fished earnestly till about two in the morning. Nothing. Ah, well, never mind, tomorrow night will be better! Monday was spent in the usual mundane way..... walking, sightseeing, shopping, followed by a leisurely evening meal ..... then a final tackle check before I set off for my first full night on the river. I decided to try further upstream and managed to squeeze the car in to the roadside parking place beside two other cars. There was still a good bit of daylight left as I took the path through the woods, which would bring me to the river. On the way down I met a couple of anglers making there way up from the river. I was delighted to see that, in their landing net, they carried three good sized sea trout, taken on worm earlier in the evening. Things were definitely looking up! I carried on down the path to the river with a decidedly optimistic spring in my step. Dusk found me on a familiar pool, wading carefully and making my first tentative casts of the night. 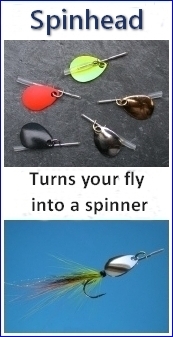 I had selected a reel loaded with a new intermediate line, more by way of experiment than by logic, and began with my usual cast of two size eight flies. Sea trout were showing in the pool and I had a few pulls, but didn't manage to hook anything. Midnight came and, having substituted a needle fly for the tail fly, I entered the pool with renewed hope. I was soon into my first fish of the week, in fact my first of the season, a nice fresh, and very lively, sea trout of around two pounds, taken on the Needle Fly. I fished on till after two o'clock. I had a few more pulls but no more. On leaving the river, I spoke to another fisherman who had been fishing the pool below me. 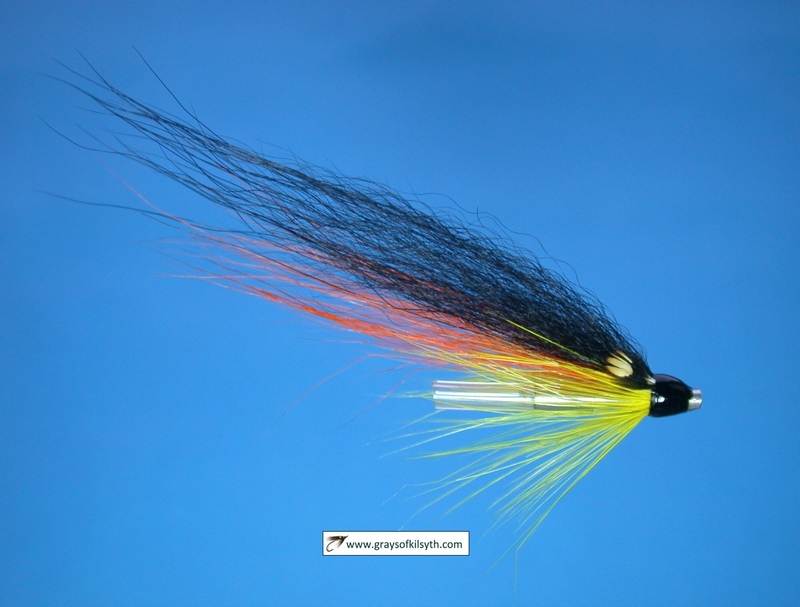 He had taken four sea trout between one and two a.m. on a size six fly, and on a floating line. We were both back again the following night on the same stretch of river. I had come equipped this time with my usual set up - ten foot rod, an old Orvis Western I had recently acquired on Ebay, Hardy JLH reel and number seven double tapered floating line, ten foot cast of eight pound Maxima and two size eight flies - a Ginger Pearl on the dropper and a sparsely dressed Silver Stoat on the tail. It was a nice night with some cloud cover clearing as the night progressed, a bit of wind now and again and temperatures no lower than about ten degrees. The river was again running at about two inches above summer low, just about perfect for this part of the river. 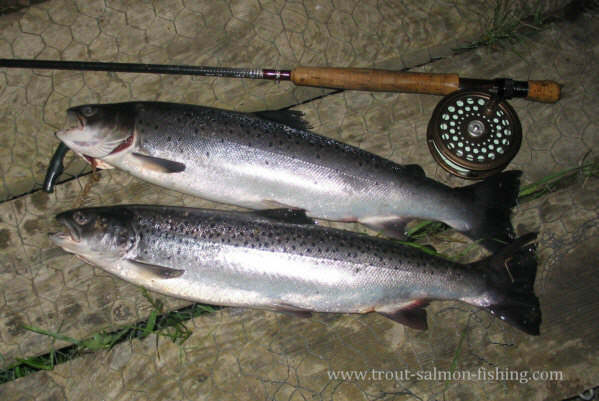 Impatient to get started, and with sea trout moving in the pool, I began before it was properly dark and had my first sea trout of the night at 11.15 p.m., a lovely fresh fish of two pounds, hooked in the shade of the trees on the far bank. It had gone for the Ginger Pearl on the dropper. It was safely returned. A good start to what turned out to be one of the most memorable nights I have had in recent years. I fished till two a.m. and had three more of the most perfect sea trout you could hope for, two at two and a half pounds each and a beauty of three and a half pounds, all taken on a one and a half inch Needle Fly. I knew, of course, that a repeat of Tuesday night's fabulous sport was really a bit too much to hope for. Nevertheless, you will not be surprised to learn that I was back on the same pool at 11 p.m. on the Wednesday night, raring to go. Despite rain earlier in the day, and the worry that the river might have risen, conditions were perfect, just what you would order if given the chance - river again running at two inches, good cloud cover, hardly a breath of wind, mild temperatures. Liberal application of Skin-So-Soft was needed to keep the midges at bay. The bats were active as I began, again with a size eight Ginger Pearl on the dropper and a Needle Fly on the tail of a ten foot cast, fished again on the floating line. Well, however unlikely, the impossible happened! 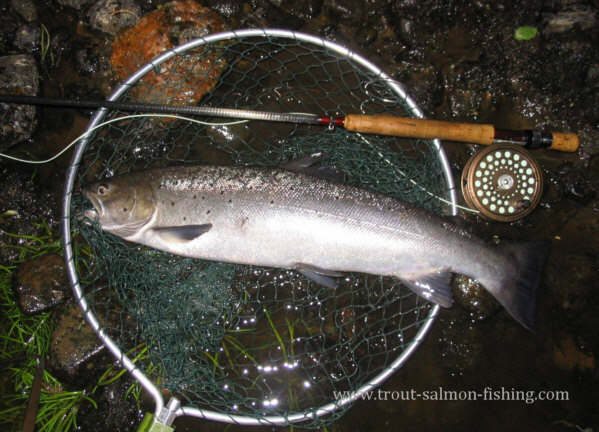 After a slow start, I left the river at two in the morning, having taken four shining silver sea trout, all on the Needle Fly. The smallest was about two pounds and the heaviest around four and a half pounds, both returned safely, with two fish of about two and a half pounds each kept for the table. 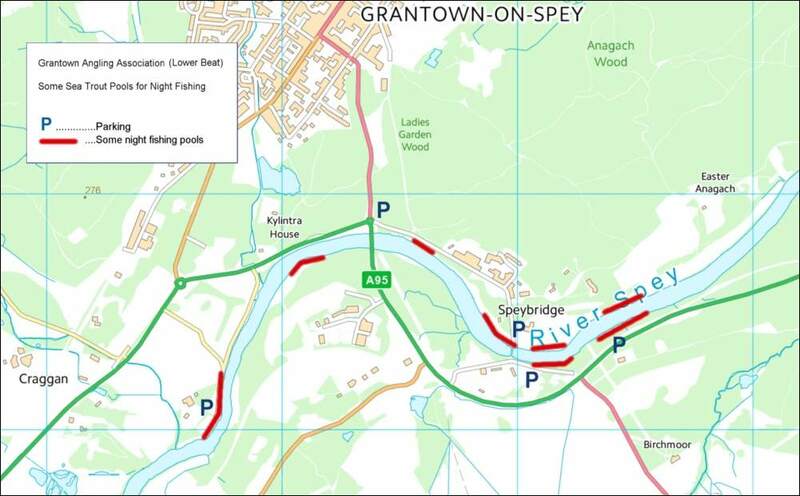 Below are two maps showing some suggested night fishing pools on both the upper beat (from Dulnain Mouth to Inverallan) and the lower beat (Upper Castle Grant) of the Strathspey Angling Improvement Association water at Grantown on Spey. 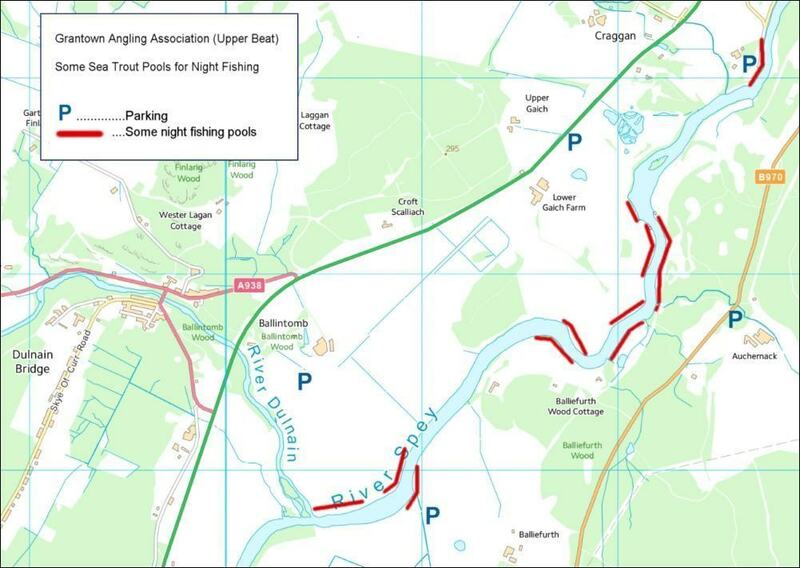 Sea trout may be caught at night on other pools, of course, but these maps provide a good starting point, showing many of the more productive night fishing pools, most with fairly easy access and good car parking no more than a mile from the fishing, in some cases only yards from the river.